This whole tournament felt refreshingly different than anything we’re used to. Not quite a World Cup-level thing, as so many of the world’s best players, getting ready for the MLB season, chose not to participate. But not a mere exhibition, either: Any and every player you talked to always went on about how much they wanted to win. Watch the final out—this is very clearly the celebration of a team that cared. Team USA’s title still feels unlikely, but it was no fluke. To get here they had to take a must-win game against tournament favorites the Dominican Republic, then won a squeaker against previously undefeated Japan, and finally this crushing of Puerto Rico, which also hadn’t lost a game. 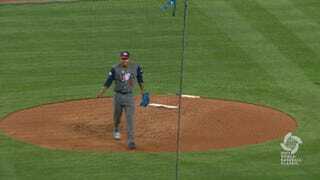 Marcus Stroman was the star, but there was no guarantee he’d be doing this for Team USA. Stroman’s mother was born in Puerto Rico, giving him dual eligibility, and as recently as 2013 he was openly hoping to play for PR in this WBC. His decision to pitch for the U.S. has led to a rough time online for mom, but I bet it’s all worth it now, after six no-hit innings and a tournament MVP award. And a little shimmy; it was that kind of night. “I’ll be back in four years to defend the title,” Stroman added. There were 51,565 fans at Dodger Stadium, and I’d describe the crowd as being of playoff intensity, if not for one weird quirk—there seemed to be an equal number of fans of either team. This was notable throughout the games in the States, especially those involving Latin teams. By all accounts it was a great experience for fans, and I’m racking my brain to think how MLB could recapture the magic of big games in neutral venues, and I’m coming up empty—we may just have to wait four years for the WBC again. A running subplot of this tournament has been “fun”—an international showcase of just how demonstrably joyous baseball-playing has the potential to be, a sharp reminder that relatively battened-down MLB doesn’t fully embrace that yet, and a promise that the sport’s changing demographics and ever-flowing youth movement will, before long, give it the expressiveness it warrants. I’d like to think of it as a referendum, but change is an inevitability—baseball doesn’t belong solely to the U.S. anymore, and hasn’t for a long time. 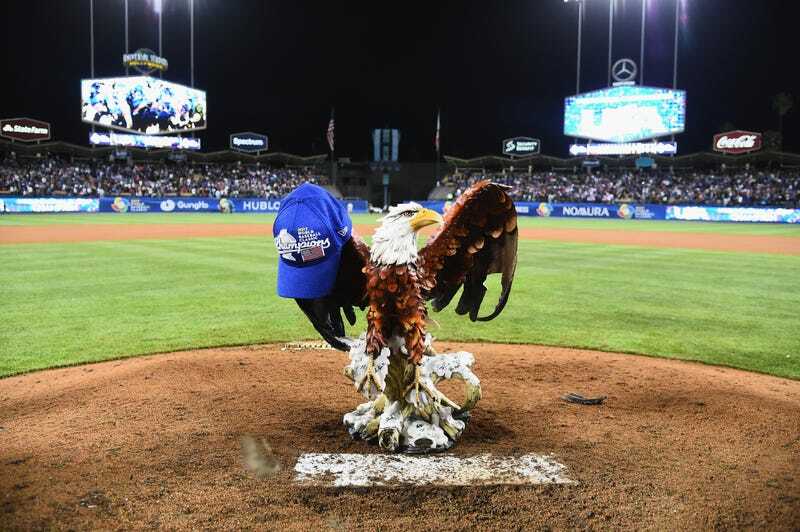 The WBC was a glimpse at the game as it’s played around the world, and a preview of its future here. And it looks like it’ll be a good time.